Keep Moving Movement: The year of your GREATNESS ! 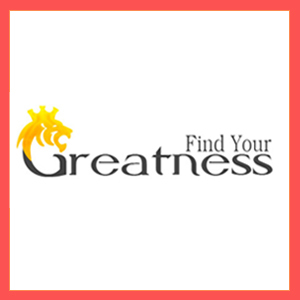 The year of your GREATNESS ! What will bring your finest hour? Is your perseverance being tested? Are you being pushed to your limits? Are you being tormented and torn? Are you being put through your own personal hell? If yes, your finest hour may be just ahead of you. While beating inferior competition may give you a temporary feeling of superiority, it’s a losing strategy. You handicap your growth and relegate yourself to mediocrity. There is no purer form of success, no more exact and demanding test of what you are capable of, than to compete at the highest level and emerge victorious. Do not go down easily. Give your challenges a super TOUGH fight. Bring everything you’ve got and then some MORE. From the arena of games to the tussles of your business….the same rule applies. From long held friendships to exciting hobbies, the same rule applies. From managing a household to doing social work, in every aspect of life, the same rule applies. Life’s role is to keep you on your toes and to nudge you far outside your comfort zone, to see how much pain you can handle, to tease and test how many setbacks you can tolerate, and how much heart, grit and character you truly have. LIFE’s role is to challenge you, to test your limits, to determine how badly you want it, to push you further than you ever have gone before…and ultimately to help you to raise your game to the highest level. May 2017 be the year of YOUR GREATNESS.